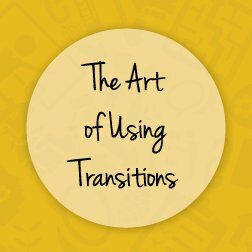 When you are facilitating or leading your group or organization, planning different activities for your group to participate in can be helpful in reaching your goals. One of the many considerations to keep in mind when choosing an activity is the level of risk that group members must assume when they participate. Level of risk is based in the level of difficulty inherent in the activity itself, but is also influenced by individual group factors like trust between group members and location in the group development model. When deciding what activity to use it is important to remember that each one will provide a group with a necessary experience or process to grow and develop together, but your group will better be able to accomplish if the level of risk builds with them and not against them. When you are planning, think about the total time you have and be intentional about building up to any higher risk activities. Low risk activities are activities that everyone can engage in freely with little to no consequences. Whatever happens during the activity has little to no bearing on the group after the activity ends. Examples of low risk activities include icebreakers, energizers, and getting to know you activities. Low risk activities should be used to introduce the group and get them to interact and communicate with one another. These are more for introduction, comfortability, and play than developing skills or solving problems. Though as a note, low risk activities can have levels of risk associated within them (discussed further below). Thinking about level of risk in all aspects helps to better ensure participation and comfort. High risk activities are activities that have higher stakes or consequences for an individual or group. Whatever happens during the activity may affect the group’s dynamic and development after the activity is over. 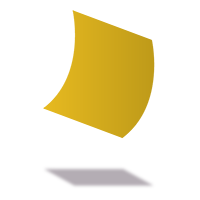 Examples of high risk activities include experiential exercises, relationship building discussions, bonding activities, or confronting and resolving a group issue. High risk activities should be used after a group has done some work in the low/medium range or with a group that already is a high performing team. These activities will help the group progress as a whole or reveal new depths of information and insight that will help them work better together. What’s happening with my group? Is your group just starting to get to know one another? Or, is your group high performing and ready to take on a challenge? Your group’s dynamic will help you to choose an activity with an appropriate level of risk. 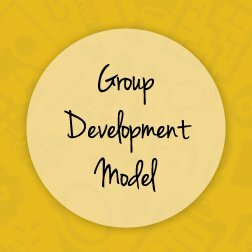 Activities typically increase in risk as you move through the group development model from Forming to Adjourning. Where am I trying to lead my group? Consider your immediate goals or learning outcomes for your group. Lower risk activities will help ‘keep the peace’ so you can continue to safely foster or maintain your team culture and climate. Higher risk activities will ask your group to step outside of their comfort zones to work through challenges and overcome obstacles. Where is my group naturally going? A low risk activity for one group may be more high risk for another. If you are ever in doubt, go lower risk than higher risk to create a safe space for your group to work in. If your group is naturally making progress towards high risk activities by gaining mastery skills or developing team cohesiveness, begin to challenge them with activities that will meet them there so that they can continue to grow. What type of activity will help them succeed? 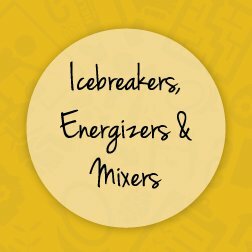 Icebreakers, energizers, and mixers are typically lower risk activities. Bonding activities and experiential activities are naturally higher risk but typically give the facilitator the ability to change or adapt the level of risk to fit their group. As a facilitator you can actually influence the level of risk inherent in a particular activity. This means that you can determine if an activity will be high or low risk depending upon how you set it up and implement it. For example, certain bonding activities like paired conversations, or dyads, can be high or low risk depending on the types of questions that you ask. Low risk questions are easy for anyone to answer and allow a group member to provide a surface level answer. High risk questions require group members to provide an answer that might be more personal or complex. Low Risk Questions: What’s one thing that you like to do in your spare time? High Risk Questions: What is one of your greatest strengths and one of your greatest weaknesses? Teambuilding is similar as the level of risk is determined by the stakes and goals that you as the facilitator establish for the group. If your group completes an activity relatively easily, then you can raise the stakes to make the activity more challenging. If your group is really struggling with an activity, then you may need to make the goals more achievable by simplifying the activity. High Risk Teambuilding: Time limits, additional rules or consequences for breaking rules (no talking, blindfold members, restart the activity from the beginning). In order to effectively change the level of risk, you must stay focused on your group and what they need while they work through the activity. It’s important to remember that many activities are meant to be challenging, just because a group or individual is struggling does not necessarily mean that the activity is too high risk for them. A good rule of thumb is to have the group take a quick timeout to regroup and strategize before you alter the nature of the activity too much. Managing your risk involves being able to see where the group is presently and what the group needs to move forward. If you engage in too many low risk activities, then your group misses out on the opportunity to deepen relationships, establish norms, develop group strengths, and may become bored. However, if you jump into a high risk activity too soon, you may encounter group resistance in the form of group members ‘checking out’ or even actively undermining the activity or the group itself. If you don’t manage risk, you leave your group open to be disengaged and withdraw from the activity or group altogether. Use your debriefs to gauge how the group is feeling after an activity and use that information to plan next steps.